Although Mexico is becoming an attractive manufacturing destination, delays at the border cost U.S. businesses $7.8 billion in 2011, Bloomberg reported. The value of logistics between the U.S. and Mexico is expected to reach $463 billion by 2020, and this could cause the total losses to grow to $14.7 billion annually. The average wait time for commercial vehicles at the Mexican border is just over an hour, though the wait is longer at peak times, according to Bloomberg. The amount of money lost accounted for costs of fuel and trucker wages as well as lost business opportunities. 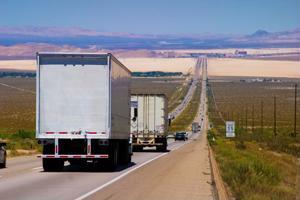 More than 5.1 million trucks crossed the border in 2012 at the largest commercial ports of entry. This number is expected to climb to 7.3 million truck crossings per year by 2020. Land ports of entry are an average of 40 years old, and modernization would cost $6 billion. The ports were built before security regulations tightened after 9/11. Approximately half of the cost would be for improvements on the Mexican side of the border. Mexico has recently been seen as an advantageous location for companies to move production to reduce manufacturing costs. Direct labor costs are relatively low, and it is more cost effective to ship merchandise. The five industries that carry the highest trade value - electrical machinery, computers, automobiles, plastics and precision health instruments - experienced the highest impact from logistics difficulties. The border delays could increase costs of consumer electronics and complicate logistics for major automakers. Honda, Nissan, Mazda and Audi have all offshored some manufacturing to Mexico, Bloomberg said. Car companies often shift parts across the southern border multiple times during the manufacturing process, causing operating costs to jump.